Unlike other businesses, networking in call centers is critical. Voice is transported on realtime protocol where as ordinary data is transported on non-realtime protocols. If you open a website and it gets delayed by a single second, you won’t feel it or complain about it. On the other hand if voice is delayed by even half of a second, both customer and CSR would complain. Acceptable delay in VoIP is not more than 250ms on round trip and 150ms on single side. Likewise if packets are lost/dropped when you surf internet, relevant application requests missing packets from server. However if there is a packet drop in voice conversation VoIP application can not request missing speech packet as it would be insignificant. That’s why only less that 1% packet loss is acceptable. Last but not least is the jitter which is variation in delay. It should be less than 30ms. Jitter can be compensated by jitter buffer in VoIP application but more of it introduces delays and packet loss. 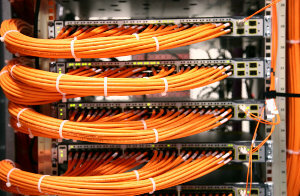 We can design and carry out a network which can meet your both voice and data demands. Our method is to choose the right hardware and configure it properly. In configuration we prioritize voice packets over data packets, or keep both types totally separate. This prioritization is ignored by ISPs but atleast it keeps the above mentioned parameters minimum within your network. If you buy one of our support plan, we can find network related problems internal and external and troubleshoot if possible.